I just can't get enough of apples this week. They're just neat. And kind of fun. And super versatile. 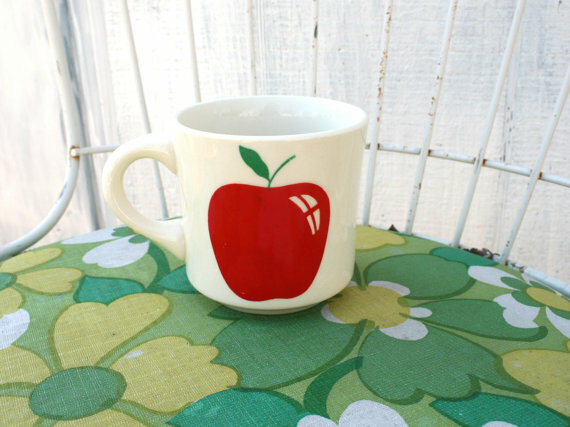 Check out this cute kitsch apple mug. You can even buy it on Etsy. But I think you should only be allowed to drink apple cider in it. That should be a rule. 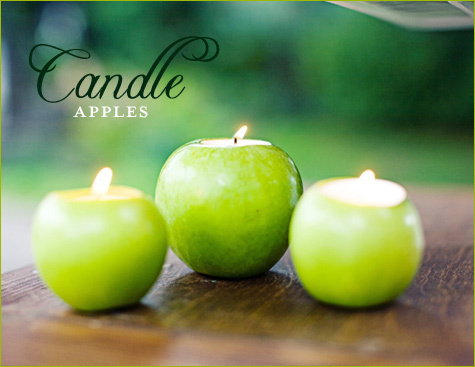 Apple candles look awesome. Awesomely cute. Cute awesome. However you want to say it, I like them. 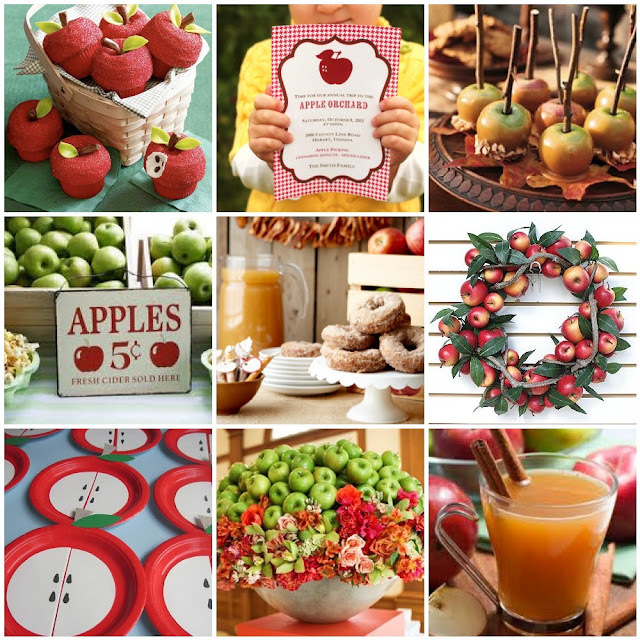 These ideas are mondo fabuloso if you're having an apple themed party. I love the wreath the best. I might just make one of those without having a party and stick it on my door. 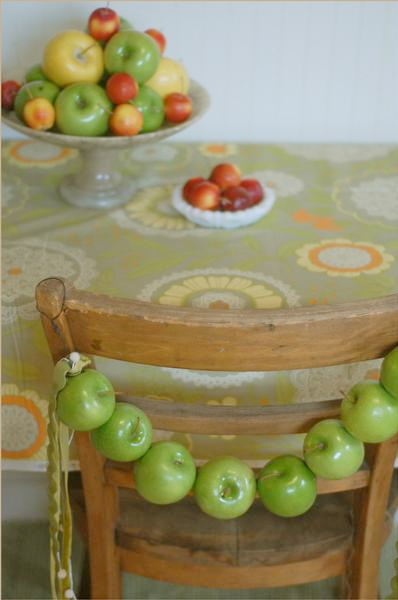 Stringing apples behind a chair is a simply beautiful way to decorate for a party or just because. I wonder if there's a way to string them without ruining the apples? Probably. Right? You can check out more of our super pinterest favorites on our pinboards (because we have lots of super pinterest favorites)!